It may be unwritten, but the rule still stands: Every man must have a suit in his wardrobe. Wait! It doesn’t end there. Once you have the suit, you need to learn the right etiquette of wearing it. 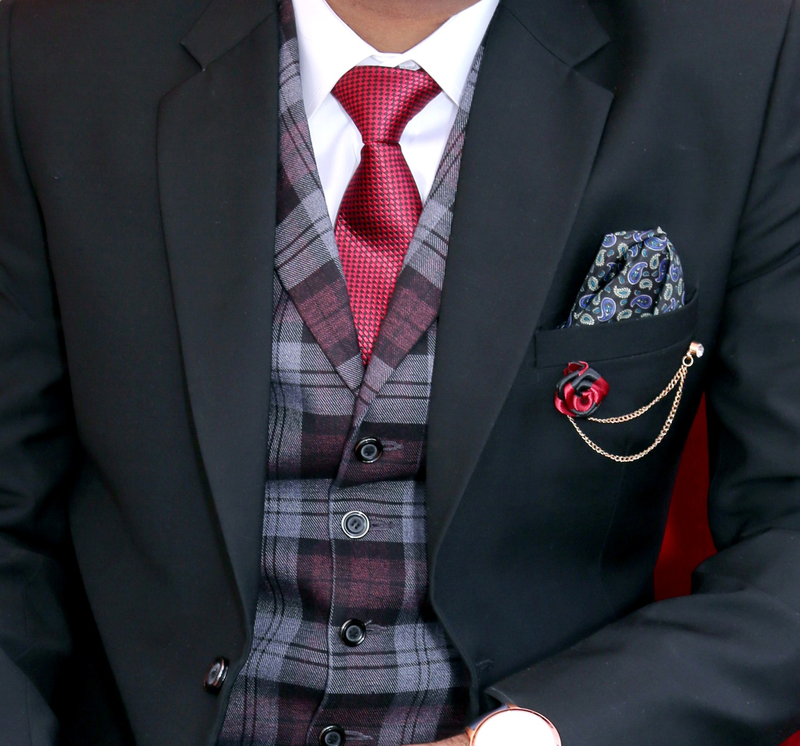 Here are some cardinal rules you need to follow when wearing a suit. No matter what kind of suit jacket you wear, single or double breasted, and no matter how many buttons it has, two or more, you should never button the bottom one. You’re only ever supposed to do the middle button on your suit jacket, the rest are there for show. However, when it comes to your shirt, always close all the buttons to the top. Leaving the collar button open under your tie knot isn’t a good idea. It stands in your way of looking slick and dapper. While mixing and matching can sometimes work, mostly it just turns into a fashion disaster. For instance, wearing brown shoes with a black suit is a big NO. When picking a pair of shoes, go with a color that would compliment your suit. Next, it is absolutely necessary to choose a belt of the same color as your shoes. And if you decide to wear a watch with a leather strap, that too should match the color of your shoes and belt. One thing that can make or break your look is your tie. Make sure you get a tie a shade darker than your suit’s color and then tie it in a way that it ends at or just above your belt. The same rule applies to your waistcoat when you’re wearing a three-piece suit. Lastly, your tie shouldn’t stick out of your waistcoat. Wearing a suit jacket or pants a size smaller or larger for you can land you in trouble with the fashion police. When it comes to suits, the right fit is everything. No matter the brand or the price tag, your jacket is only as good as it’s tailoring. When purchasing a new piece, make sure to try it on first. The jacket’s shoulders should hug your own; the jacket’s sleeves should be half an inch shorter than your shirts’; your trousers shouldn’t be too short or baggy. 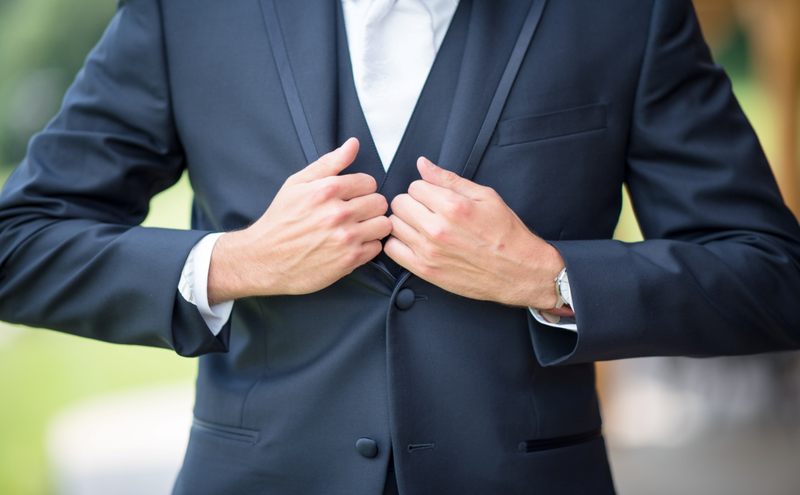 If you like a particular suit but the fit isn’t right, you can hire a professional clothes alterations service to alter it according to your body proportions. If you’re looking for an alterations service or shoe repair dc in Washington, DC, connect with Imperial Valet Services. We’re trained and equipped in handling the trickiest of outfits in both alterations and dry cleaning. You can schedule your dry cleaning and alterations pick and drop today!